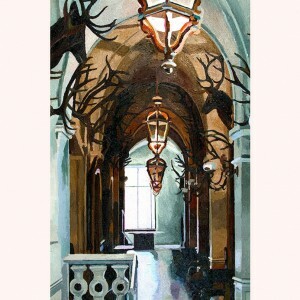 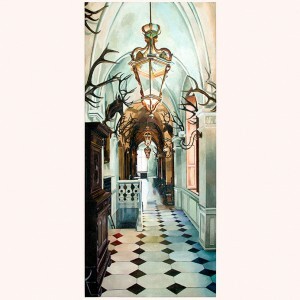 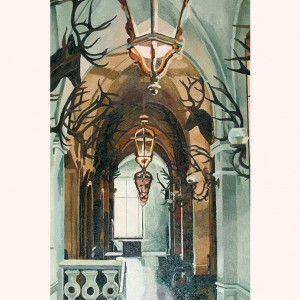 The Corridor in Pszczyna Castle, oil on canvas, 200 cm x 90 cm. 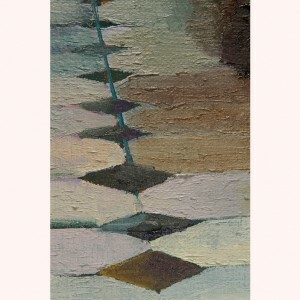 All photos: Dorota Lukianska. 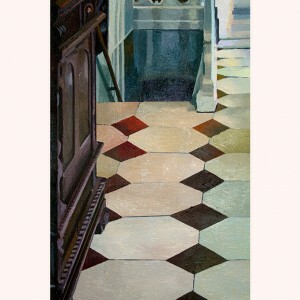 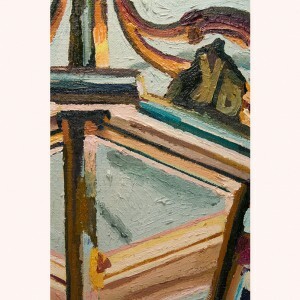 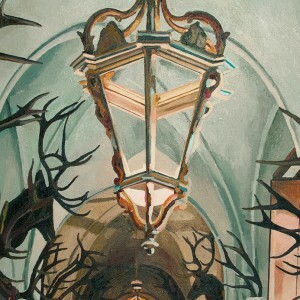 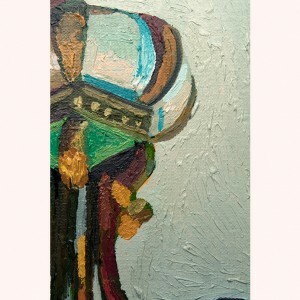 The Corridor in Pszczyna Castle (Detail), oil on canvas, 200 cm x 90 cm. 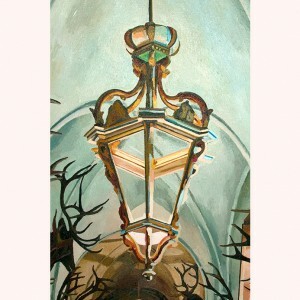 To a corridor of a 14th century castle in the south of Poland, where deer horns mingle with their shadows, and electrical light and daylight merge on the ceiling overhead.